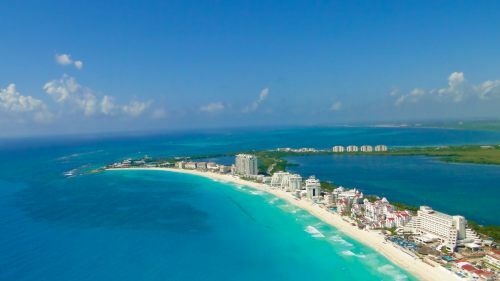 Interjet has dropped the price of their non-stop flights from Toronto to Cancun, Mexico down to between $238 and $277 CAD roundtrip including taxes. If you're comfortable booking in Spanish, you can book these flights for $238 CAD roundtrip. 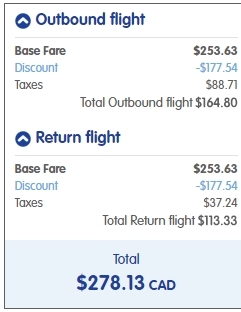 The price should show up as $3,525 pesos for a roundtrip flight. 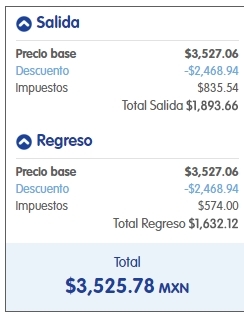 If not, you can click on 'Visualiza todo el mes' to open up the calendar view and look for the date combinations that add up to around $3,525 pesos roundtrip. When booked with a Canadian credit card, $3,525 pesos will work out to $238 CAD roundtrip based on today's exchange rate, and including the typical credit card foreign exchange fee. 3 Responses to "Toronto to Cancun, Mexico - $238 to $277 CAD roundtrip including taxes | non-stop flights "
Any All-inclusive resort package that you can tag to this deal ? - If not, what can be recommended ? Any recommendation on transportation from/to airport ? We snagged a similar price with Interjet (thanks to YYZ Deals!) leaving January 27th. It took a bit of searching, but we found a good deal for an all-inclusive stay at the Grand Bahia Principe complex in Riviera Maya. If book on their website and sign up for their rewards program (give them your email and make an account - no money required), you get 5% off and free transfers.